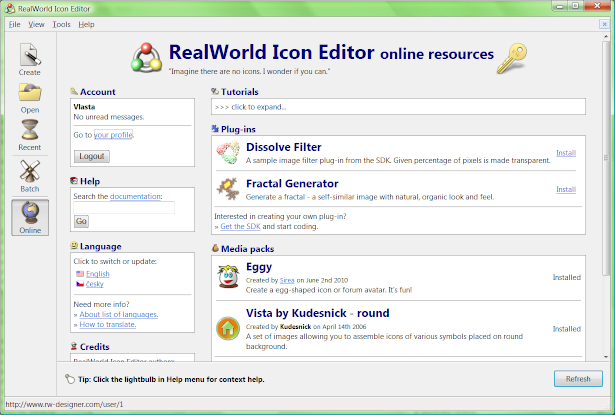 All screenshots on this page contain images and 3D models created exclusively in RealWorld Icon Editor, without help of any other software. Create any number of image sizes at once, standard or custom. Gamma-correct high-accuracy resampling for superior quality. Per image configurable sharpening and outline-enhancing shadows. 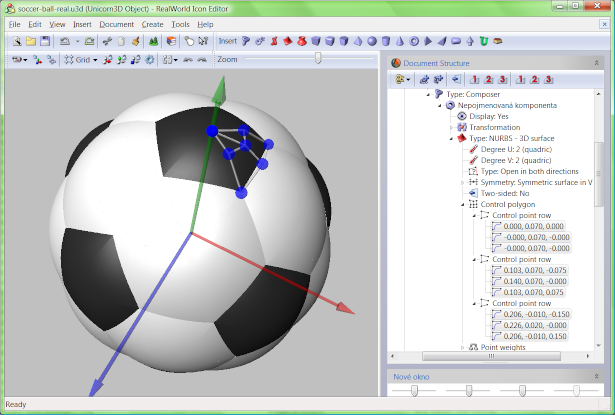 Build a 3D object from basic shapes like Sphere, Cylinder, Pyramid, etc. Add NURBS-based surfaces to 3D models or convert basic shapes to NURBS to further modify them. Parameterize 3D objects for bigger flexibility and easier fine-tuning. Define and save any number of snapshots with defined lighting, camera and parameters. Use layers with effects (layer styles in Photoshop terminology). Create, modify, export and import smooth selections (image masks). Apply variety of effects and filters, use Photoshop-compatible plug-ins. Paint with tools like Brush, Ellipse, Lasso, Text, etc. Download media packs from within the application. Pick images from a user-friendly media library with tags. Customize images by changing their color, appling bevel or shadow effect, etc. Draw your own component if the desired one is missing. The image editor has the needed tools. Drag and drop files (or folders) from a file manager to start batch processing. Export and import custom batch operations. Professional license is needed for batch processing. Modify icons in library in an image editor. Copy or move icons between libraries using clipboard. Apply selected filters to all images of all selected icons in a library. Import or export an icon from the library. 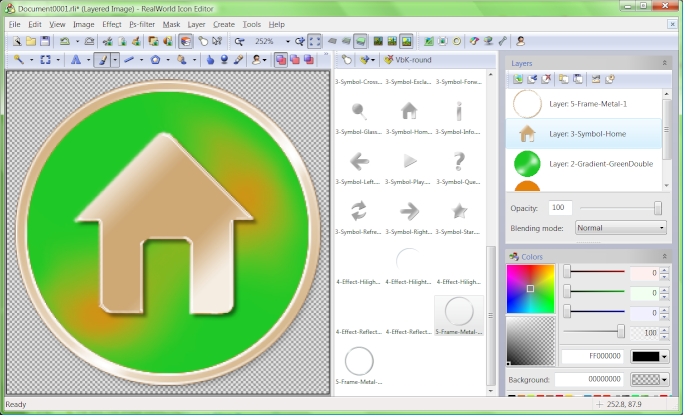 Add shadows, bevel effect, sharpen or apply other filters to icon's images. Combine two or more icons using clipboard. Settings in Application options controls how to create optimal legacy 8bpp and 4bpp image formats. 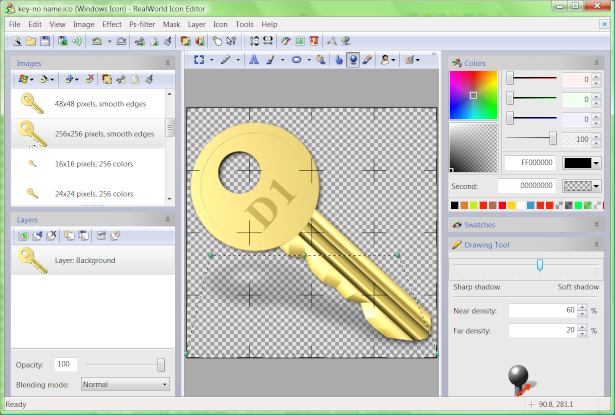 Access tutorials related to icon editing from the application. Download and install media packs and plug-ins with literal single click. Share your work with other users and create a portfolio online.